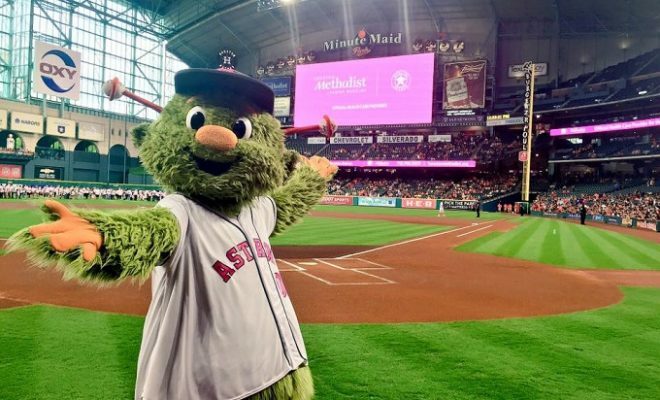 Alleging that her finger was injured when the mascot for the Houston Astros shot a t-shirt cannon in her direction at close range, a woman is suing the organization for over $1 million. The alleged incident occurred last summer, however, the lawsuit was filed on Monday, April 8, 2019. 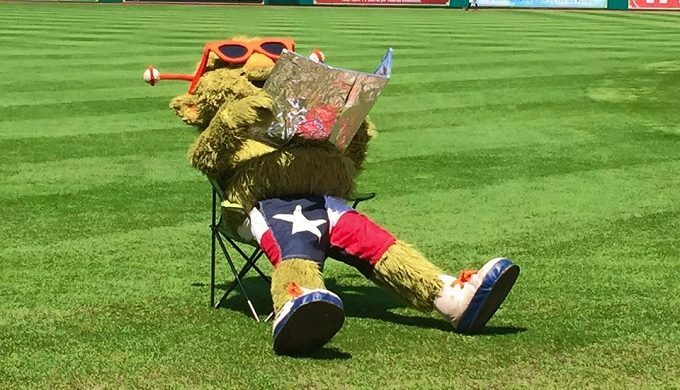 In the suit, Jennifer Harughty is claiming that she was seated behind third base during the July 8, 2018, game when the mascot, Orbit, allegedly shot the t-shirt cannon toward the stands. She has stated that the t-shirt hit her at close range and shattered her finger. According to the lawsuit, following the injury, Harughty was cared for at the emergency room. Here, she says that the prognosis was a severe fracture to her left index finger which would necessitate surgery. On July 12, 2018, two screws were placed into the finger by an orthopedic surgeon, after which she has attended physical therapy twice weekly. A second surgery was performed on October 16, 2018, to remove the screws, thereby restoring use of the finger. ← Previous Story Catching Avocados in the South Llano River: What’s the Limit?